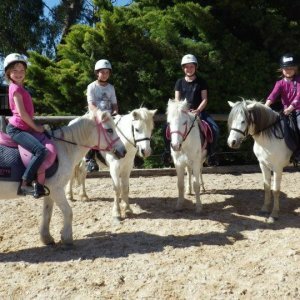 Come and see what it’s like to have your very own horse for a week. 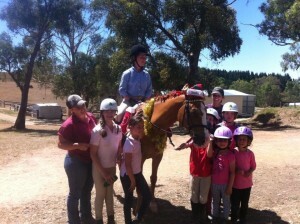 -For the kids……A fun day of riding, theory and playing with poines! 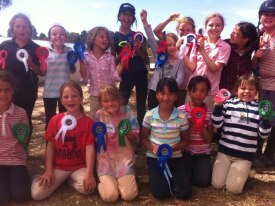 All are aspects of the activity packed school holiday program. and for the parents…. Enjoy some time to yourselves in the surrounds of Hahndorf visiting Wineries, restaurants and shopping., while we entertain and educate the kids. -Cost $160.00per day. Children to bring a packed lunch and water bottle as food is not provided. Our programs run for five days and allow riders to learn and participate in an array of horsemanship activities from grooming and tacking their pony, to learning about stable maintenance, floating and all things in between. A $50 deposit is required per day before bookings will be confirmed.